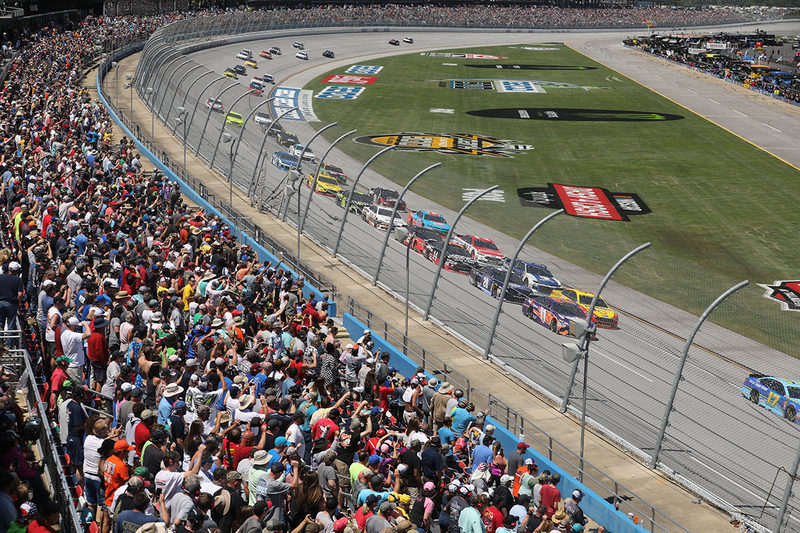 Advance-priced ticket options give fans the chance to save on tickets for the GEICO 500 Monster Energy NASCAR Cup Series race on Sunday, April 28, as well as the Talladega 300 for the NASCAR Xfinity Series event on Saturday, April 27. In addition to the jam-packed weekend, practice sessions for both events along with the General Tire 200 ARCA Racing Series presented by Menards race kick off on Friday, April 26. Kids 12 and younger receive FREE admission for the Talladega 300 and receive $50 off regular price grandstand and tower seats for the GEICO 500, starting as low as $10. Current Monster Energy NASCAR Cup Series Champion Joey Logano qualified for last year’s NASCAR Playoffs with his victory in the 2018 GEICO 500. As part of Transformation – The Talladega Superspeedway Infield Project, the new Turn 3 Oversized Vehicle Tunnel as well as the new Finish Line Premium RV area (located just past the start-finish line & includes full hookups) and new Infield Shower Trailers are scheduled for completion in time for the much-anticipated weekend. The two-lane tunnel, the first development ofTransformation, will be capable of allowing vehicles as large as race team haulers, fans’ recreational vehicles as well as track tram vehicles (to take fans who have both infield admission and grandstand seating) to enter and exit the track simultaneously with ease. It will be open 24 hours during event weekends. The culmination of Transformation will occur this October and will allow fans to be immersed into the sport of NASCAR with a one-of-a-kind Talladega Garage Experience, which will feature “up-close” access, interactive attractions and enhanced amenities for fans, sponsors, teams and stakeholders in the iconic Talladega infield. For more information on Transformation, visitwww.talladegasuperspeedway.com/transformation. For more information on Talladega Superspeedway’s advance-priced ticket options, as well as hospitality opportunities (Fan Suites, Premium Boxes, Paddock Club, Weekend Unrestricted and Sunday VIP Experience), simply visit www.talladegasuperspeedway.com or call 855-518-RACE (7223).